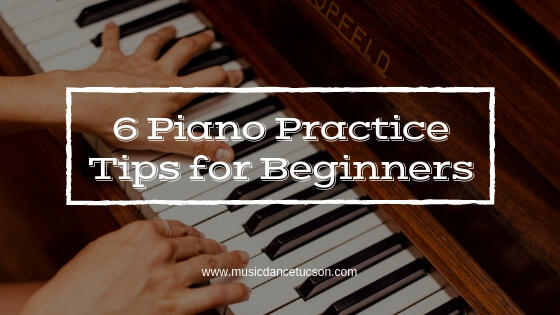 If you’re starting to learn how to play the piano aiming to be a great pianist someday, you know very well how important regular practice is. Practice makes perfect, as people always say it. However, you should also remind yourself that quality beats quantity every time. No matter how much you practice, if you don’t get it right all the time, your journey will still be a very long and tricky one. Tip #1: Focus on one goal at a time. When there’s so much to learn and improve on, you can easily get distracted. While it’s good to have multiple goals, the best and quickest way to achieve it all is by focusing on one specific goal at a time. Tip #2: Free yourself from distractions. In this time and age, distractions are everywhere. Make it a habit to remove everything that can get in the way of a productive practice session. Playing the piano should be fun and be a way to express yourself. But sometimes, if you practice too hard, it can become frustrating especially when you don’t get the outcome you want. Take some time to breathe from time to time. Tip #4: Feel the music and express yourself through it. While it’s important to learn a piece correctly, expressing oneself is essential as well. After all, that is what music is all about. In today’s world, everything can be found in the internet. Browse for meaningful learning content online that can help you through your learning journey. Tip #6: At the end of the day, reward yourself for your hard work. After hitting your target, there’s no better way to celebrate it than to reward yourself. This is a good way to motivate yourself to improve your skills.